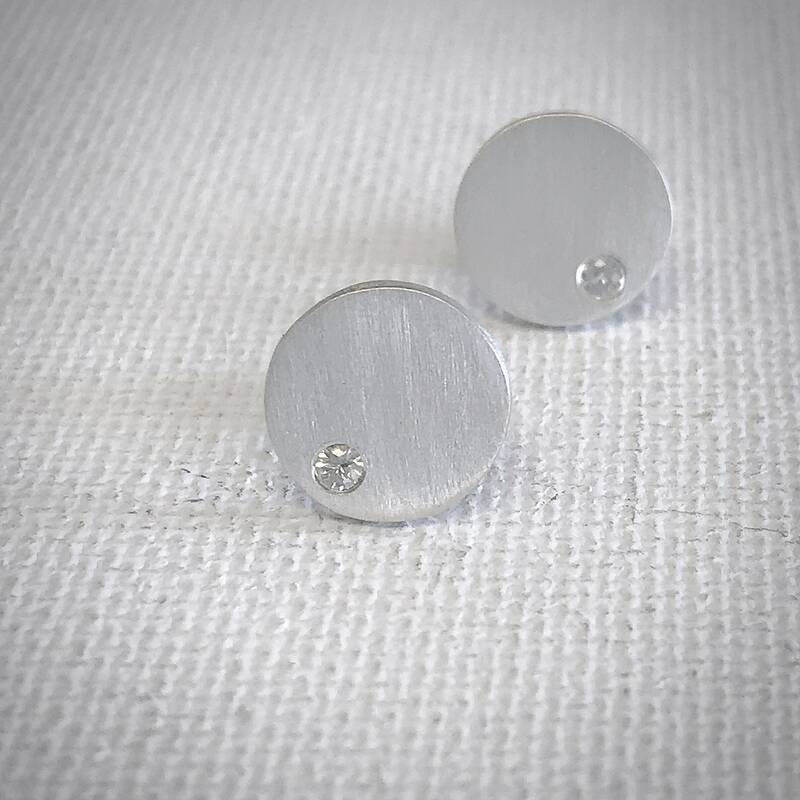 These gorgeous white sapphire earrings are delicate and modern with just a hint of sparkle. 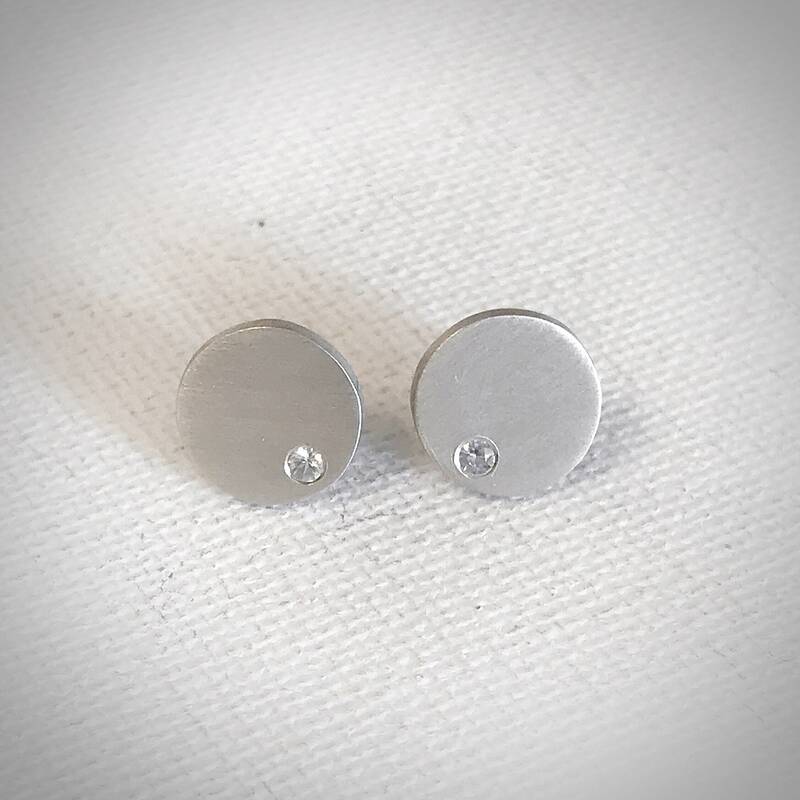 Each sterling silver disc is hand cut and shaped and features a single 2mm round faceted white sapphire gemstone. 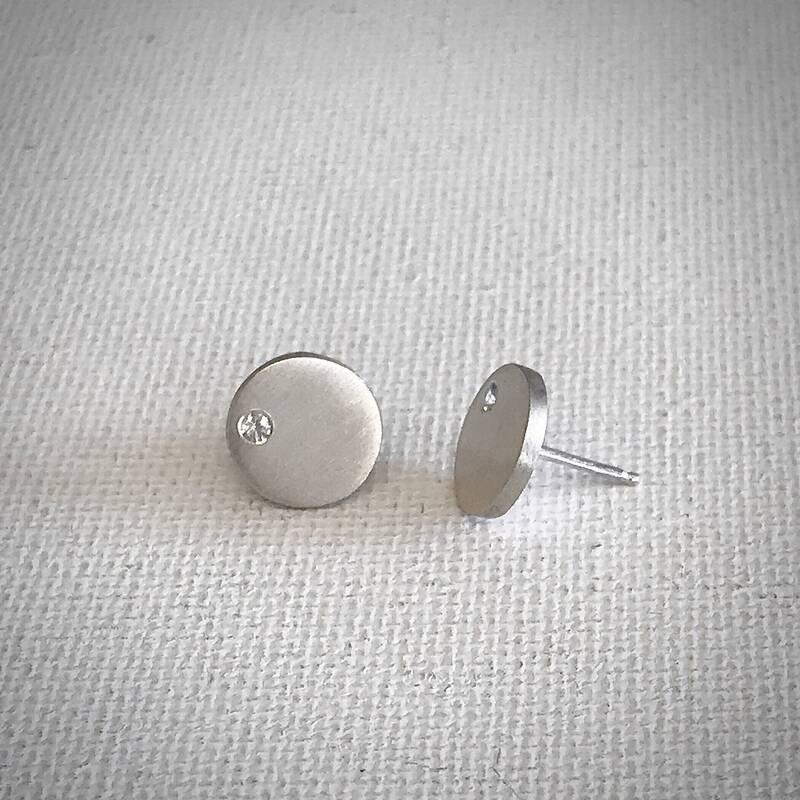 The earrings measure 3/8” in diameter and have a brushed matte finish. 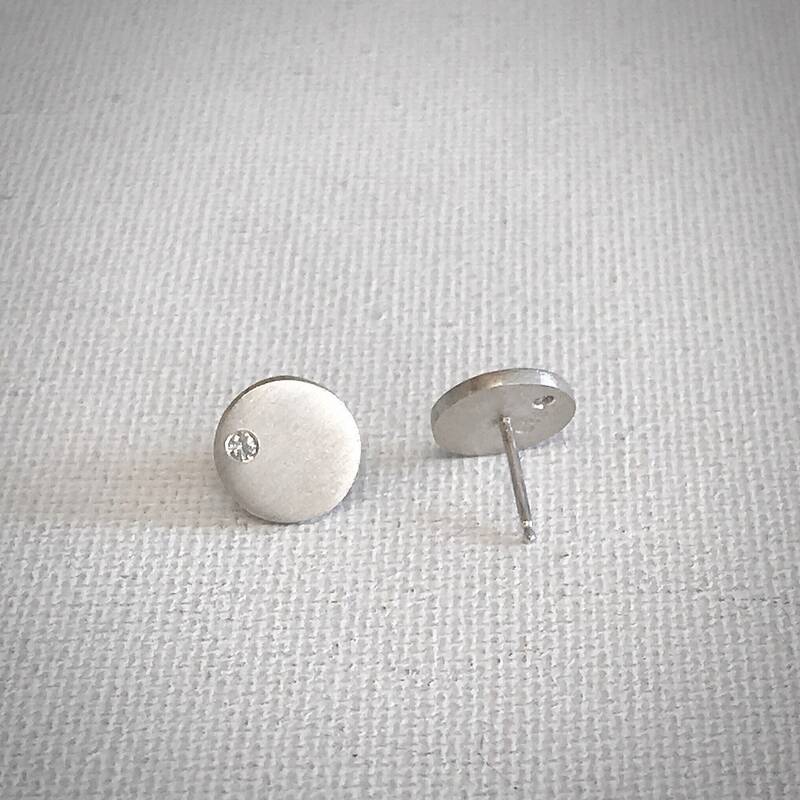 The posts and push back closures are sterling silver. 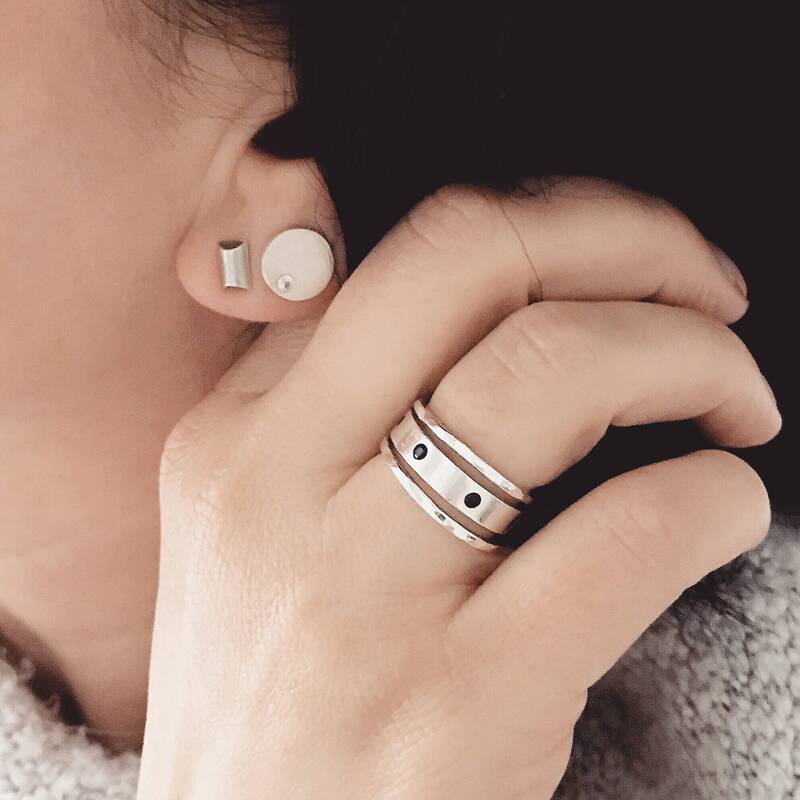 The clean, minimal style and their light weight make them perfect to wear every day. They also make a lovely gift for someone special. Paired with our white sapphire disc necklace, they make a beautiful set.